Breaking Dawn will be shown in Philippine theaters this coming November 15, 2012. Along with it comes a lot of promotional items from various companies. 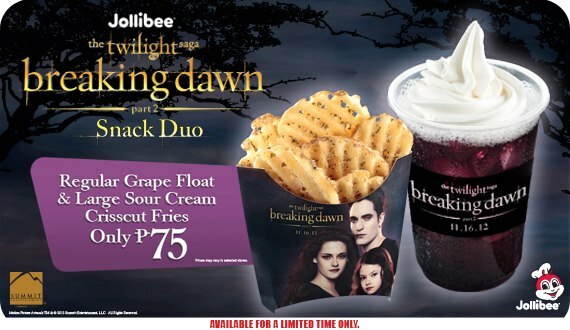 If you are a Twilight fan like me, you will definitely be splurging this season for Breaking Dawn merchandise! For my purchase, I ordered my favorite Jollibee Spaghetti. For the drink, I asked the service crew if I can have the Grape Float only. I didn't want to eat the crisscut fries with the spaghetti. It would have become a heavy meal. Fortunately, ordering the Grape Float alone is allowed! 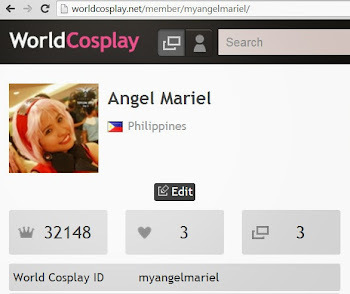 I just had to add PhP21.00 for it. My meal cost PhP70.00 all in all (PhP49 for the spaghetti plus PhP21 for the Grape Float). Sweet! The promotional poster declared the drink to be Grape Float. So I expected it to be made of grape juice. But I started to wonder when I saw bubbles in the drink. My first sip confirmed my guess! It was Sprite with grape flavor! Grape Float means Grape Sprite Float I loved it! Wow! 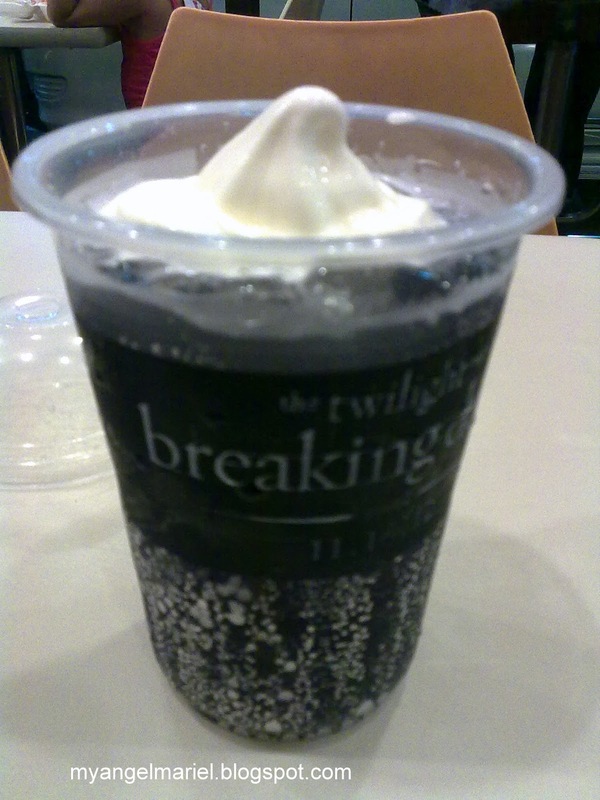 My Breaking Dawn Grape Float from Jollibee. 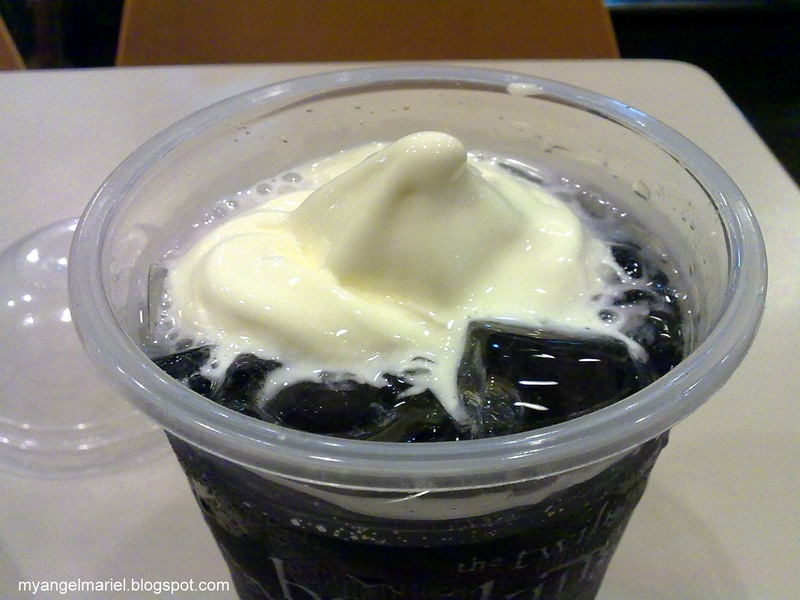 This Jollibee Grape Float was purple in color. It was topped with Jollibee's soft serve ice cream. The grape flavor went excellently with Sprite! It was not too sweet and had that grape flavor reminiscent of Zest-O Grape Juice. At first, I was worried that the crew won't be able to put a perfect soft serve shape in my drink. In fast food chains like Jollibee, the service crew are always on the rush. Time is more important than food presentation. However, the crew who served me put a good soft serve tower, though still far from that as shown in the promotional poster! But it looks good in the photo, nonetheless. What I don't like about the soft serve in Jollibee is that it melts easily. It mixed with my drink faster than I could finish it. I have my way of drinking floats. I finish the drink first and eat the soft serve last. But this grape float did give me that chance. The verdict? The drink was great overall! Maybe in my next visit, I can buy this grape float with the crisscut fries. I love flavored Sprite! I can never forget the Blueberry and Green Apple Sprite float from McDonald's! 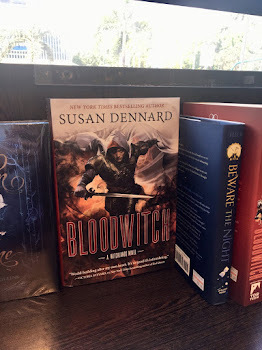 Now I can add another favorite to my list!